Maggie Voisin won the women’s X games ski slopestyle in Aspen today, the first American woman to do so, and she did it among a strong field of competitors tossing some of the best tricks ever To be seen in a women’s slopestyle event. Voisin posted the winning score, a 92.33, on her first of three runs, with a solid rail section and three different 900s in the jumps: a right 900 tail, switch left 900 mute, and a left rodeo 900 japan on the final jump. Fellow American Isabel Atkin (skiing for Great Britain in the Olympics) took silver with an 88.0 also on her first run, with a cork 900 tail, switch right 900, and left 720 safety. 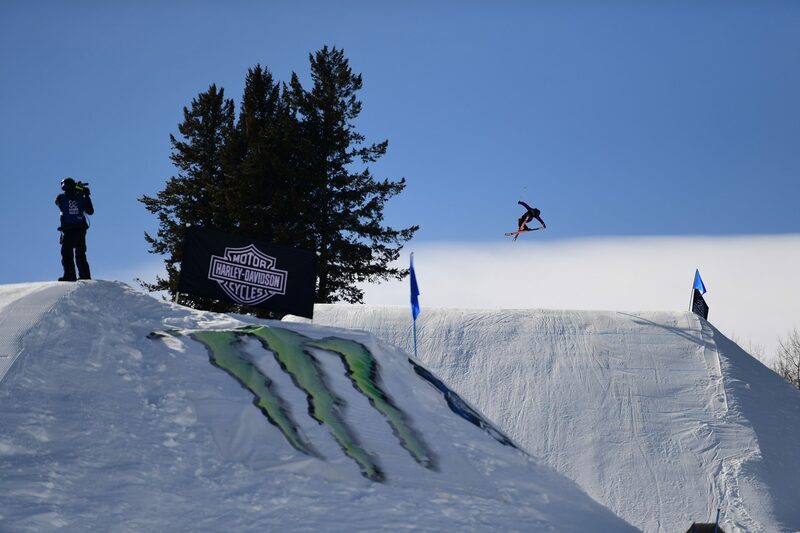 Coming in third was Sweden’s Jennie-Lee Burmansson, at 15 years old the youngest competitor at this X Games, who greased the rails and landed a switch right 720 with what looked like a stale grab, a switch left 900 and a left 720 where the tail grab seemed elusive. It wasn’t a lucky day for both Tess Ledeux of France and Johanne Killi of Norway, who both had runs including double corks—the first to be seen in women’s slopestyle at X Games—but couldn’t put it all together in a clean run. Ledeux landed her beautiful double cork 1080 safety in her first run but scored low due to her rails, and clipped her noses coming out of the same trick in her third run, crashing hard but emerging apparently unscathed. Killi unpacked a whopper of a switch double cork 1080 in her third run as well, but pulled what we call a “Dave Crichton,” losing her ski on the landing (binding issues?) and riding away on one ski, sinking what almost certainly would have been a gold-medal run. Skiing at the X Games continues with Men’s Ski Big Air tonight at 7:00PM MT (3:00AM CET), followed by Women’s Ski Big Air on Sunday at 12:00PM MT (8:00PM CET) and Men’s Ski Slopestyle at 12:45PM MT (8:45PM CET). Viewing is available via ESPN Player (pay), and apparently free livestreams are working as well. Women's Ski Slopestyle final results.